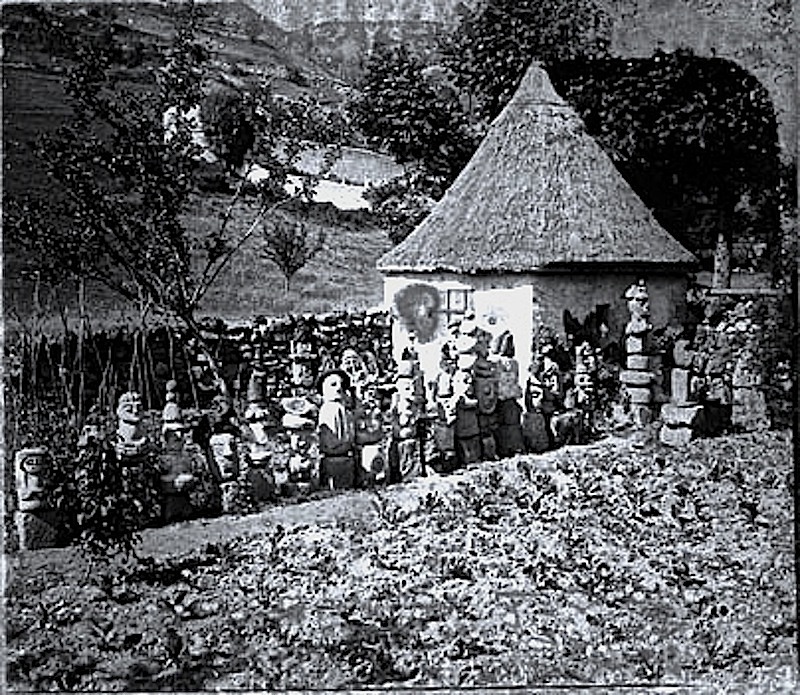 “Figurines de pierre (stone) dans un potager,” between 1859 and 1910, by Eugène Trutat, via Bibliothèque de Toulouse Commons on flickr. Unfortunately, the old image is not very clear. The location of the vegetable garden was not noted, but the Bibliothèque assigns it to the Germany album. Trutat took a large number of pictures while traveling in the Rhineland-Palatinate region in the early 1920s.